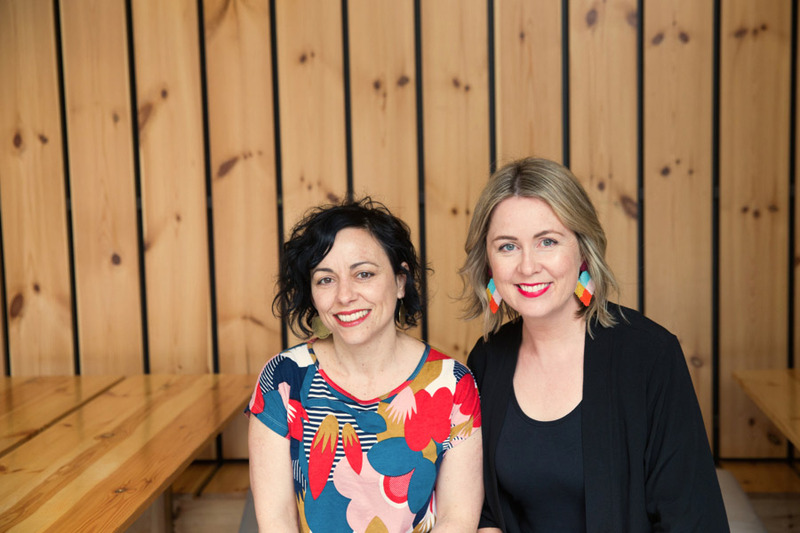 Two print lovers, Jen and Donna, met over their well-worn paint brushes at art school and instantly connected through a love of fabric and pattern design. 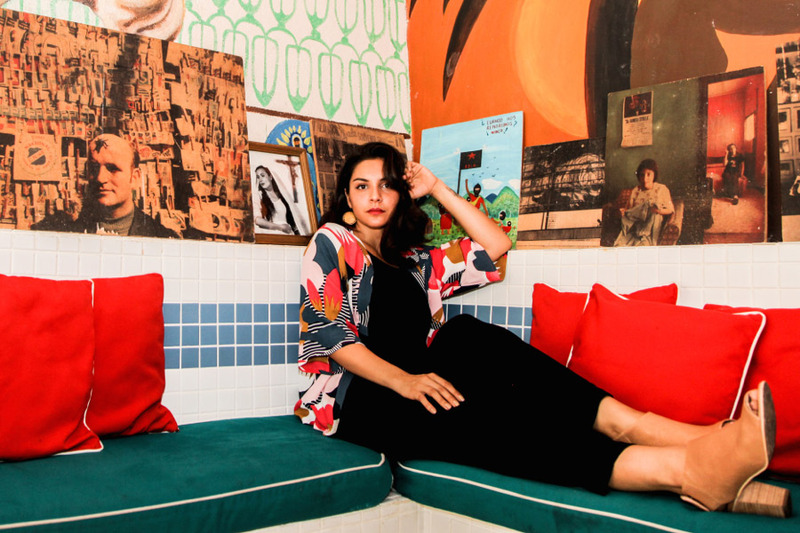 Their label, Frock Me Out, celebrates women by creating clothing with universally flattering silhouettes featuring a range of gorgeous, vintage-inspired prints. 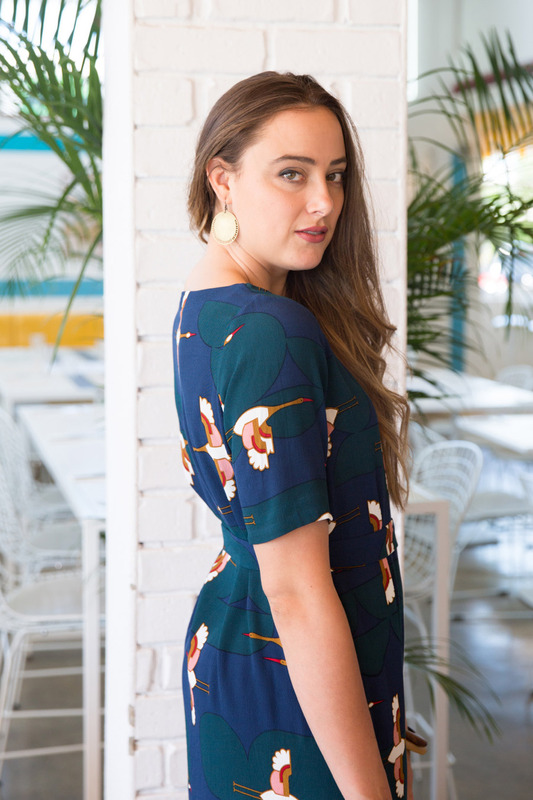 Catch Frock Me Out at our Sydney market, this 8-10 December, and be sure to read on for more! Donna – Jen and I met at art school (painting) and quickly bonded over a shared love of colour, vintage design and fabric obsession. Jen had been making her own print dresses for a while and after receiving compliments and requests from friends (including me!) she’d started Frock Me Out. Back then it was one simple style of dress that was made to order by Jen using a range of printed cotton fabrics. Meanwhile, I had been hand screen printing kids tees for my business, Mighty Atom (that had started in a similar way by screen printing clothing for my own kids) and was concocting plans of creating a women’s printed t-shirt brand. We decided to join forces and make it all happen and we haven’t looked back! 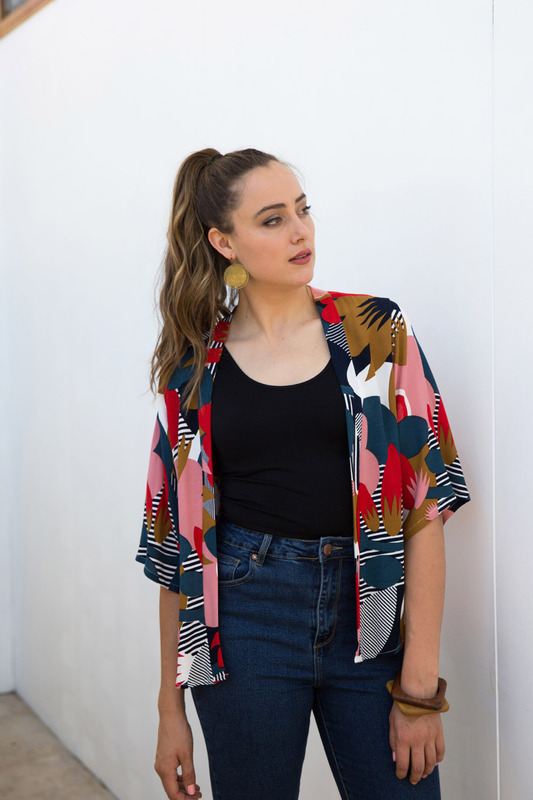 We’re all about vibrant, often vintage-inspired prints made into dresses, tops, jumpsuits, kimonos, skirts all designed to flatter a wide range of body-types and ethically made from natural fibre based fabrics. Designing our own prints really is literally a dream come true for both of us. Being involved as a stallholder at The Finders Keepers Markets has played an integral part in the success of our brand, as it’s allowed us to get in front of an independent-design loving audience throughout Australia and has pretty much made it all happen for us. We couldn’t be happier! Talk us through a typical day in the life of Frock Me Out. Jen – Donna and I both arrive at our Adelaide studio (after dropping our kids to school) at around 9.30, make a coffee, have a chat and discuss the main tasks for the day. We generally start with getting through emails and packing online orders and then depending on what we’ve got happening at the time our focus can vary. We might be working on some new print designs and choosing colours (our favourite thing to do), looking and measuring some new clothing samples and noting any adjustments or changes that need to me made (also a fave) or we could be sorting our our stock and packing for The Finders Keepers! We made the (slightly scary) move into our own studio/shop space in November last year and we absolutely love it. We’re getting great exposure and love the regular interaction with our customers that we’re often showing new prints to or workshopping our new styles with – it works really well. Our team has been slowly expanding over the past year. We have a couple of friends looking after the shop on Saturdays and we regularly work with our excellent photographer and models. We’ve really enjoyed sharing it all with them and we’re having our very first Frock Me Out Christmas lunch this year to celebrate, which we’re super excited about! Each member of our team also has their own creative endeavour going on and it’s great to be supporting each other. Donna – Get organised as early as you can! There’s always a long last minute to do list, but minimising that as much as you can sets you up with more energy to get through the weekend. That and good shoes. Feet are everything. Jen – Lots of our inspiration comes from vintage designs, patterns and colour combinations on anything and everything – not just clothing. Vintage and hand painted tiles for instance are a great source of pattern inspo. We are always saving images on pinterest and instagram – often quite separately saving the same ones. The clothing we design comes from gaps we have in our own wardrobes and prints we want to be able to wear and can’t easily find in clothing with flattering tailoring and clean lines. We both have such different body shapes that if a piece of clothing suits both of us, we’re generally onto something that will fit and flatter many other body types too. Bathers are something we’ve been dreaming about and working on for a while too for the same reason – we can’t wait to release them! We are both absolutely loving Denz and Co Jewellery at the moment! The colours are fantastic and we’ve already got quite a collection. Other stalls we frequent are Blackbrail Atelier (also for earrings…), Keep Resin and we love the colours and texture of Uimi Knitwear. Donna – During one of our early trips to Indonesia we visited our screen printers and saw our own very first prints printed onto fabric, which was a huge moment for us. We’d worked for so long to get to that point and we just had no idea how it was going to turn out – either very well or very badly! Luckily it was the former, and seeing those prints come to life on fabric was just something else. They were amazing and we loved them – very proud moment!